As we near the end of 2017, your B2B should be planning marketing tactics for the year ahead. The following trends should help plan where your digital marketing budget is best spent. There have been a number of prominent SEO updates in 2017, from Google announcing mobile-first index to Chrome labelling non-HTTPS websites as insecure. Your B2B should be aware of the latest SEO developments and optimise your website accordingly in order to boost search engine rankings and increase organic traffic. Google first announced a mobile-first index in November 2016, with initial expectations that the individual index for mobile devices would be rolled out in 2018. However, Gary Illyes, Webmaster Trends Analyst at Google, recently announced that the mobile-first index has already started to slowly roll out. This came as a surprise to most in the digital marketing industry, with Google moving forward with the rollout earlier than planned. Therefore, ensuring your B2B website is mobile friendly is more important in 2018 than ever before, especially considering its weight as a search engine ranking factor. Building high-quality external links to your website has been a key SEO tactic for many years, and this shouldn't change in 2018. If anything, the context and relevance of your link building could become more important than ever. Referral traffic will remain a key factor in your B2B website's organic search rankings, but it is important to build links from websites that are relevant to your industry. Moving towards relationship building and helping your B2B to develop useful, influential contacts in your industry is a recommended SEO strategy for 2018. A good user experience increases the likelihood of a user engaging with a website. This helps search engines understand which webpages are the most useful and relevant to certain search queries, which webpages to rank above others. Google has made it explicitly clear that websites should focus on delivering a smooth user experience, with focus on the user. An SEO audit can outline improvements and prioritise actions to improve the user experience of your B2B website. Whether you need to reduce your page loading speeds or update your on-page SEO to align with the latest standards. The rise of voice search is transforming the SEO landscape. The increasing popularity of smart speakers is creating more conversational search queries, even in a B2B context. According to Google 1 in 5 searches are conducted via voice search, and this ratio is expected to increase into 2018. Optimising your B2B website for longer, more specific keywords could boost your search rankings, utilising natural language to align with the user's conversational search queries. Often referred to as "position 0" featured snippets are increasingly appearing at the top of search results, above both the PPC adverts and organic listings. Snippets are often triggered by user questions (how, what, why) and feature a snippet of a webpage's content, a URL and page title. Featured snippets are designed to attract the user's attention and attempt to answer the user's query, and have resulted in significantly improved CTRs for the selected webpages. With their increasing popularity, and ability to improve your website's CTR and conversion rate, optimising for featured snippets should be a key consideration for 2018. The process of optimising for feature snippets closely aligns to that for voice search. By focusing on longer tail keywords and natural language, this could be an interesting angle to optimise your B2B for two growing SEO trends. Aligning with Google's best practices is still vitally important for your B2B website in 2018. 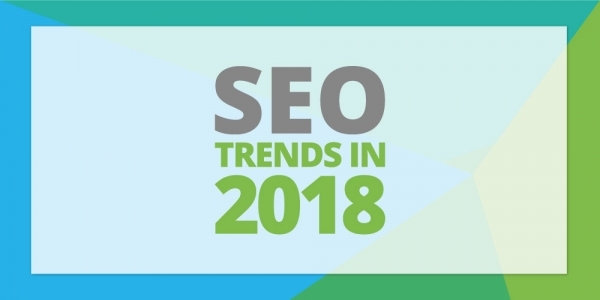 Whilst traditional SEO techniques are still effective, monitoring the above-mentioned trends could help boost your search engine rankings in your industry. Want to optimise your B2B website in 2018?